SOUP: Combine all soup ingredients in a food processor or blender and process until smooth. Alternately, combine all ingredients in a large deep bowl and process until smooth with an immersion blender. Refrigerate for 1 hour. Soup may thicken as it chills, so add water as needed and adjust seasonings. RELISH: Combine relish ingredients in a small bowl. 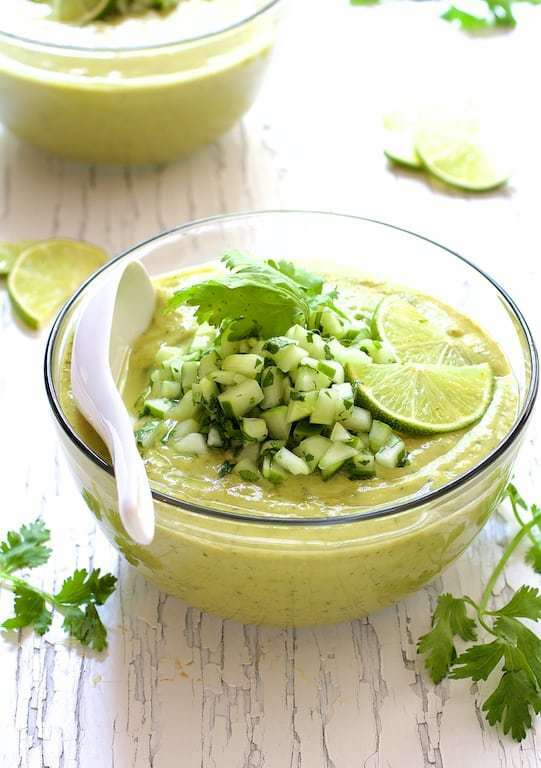 Serve atop soup with lime wedges and cilantro sprigs.